Mr Sajal Rai is a Consultant General, Colorectal and Laparoscopic Surgeon at the Stepping Hill Hospital, Stockport, Cheshire. Mr Rai trained at Leicester and Bristol, United Kingdom under some of the leading surgeons in the UK. His research into risk of developing bowel cancer, lead to an award of Doctor of Medicine (MD) by the University of Leicester. 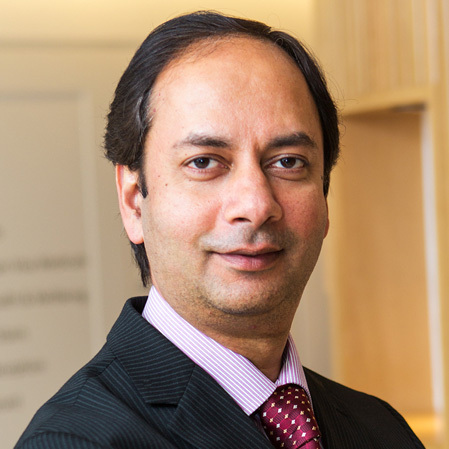 Mr Rai has a vast surgical experience and his particular interest is minimal access or laparoscopic surgery (also known as key-hole surgery) and how to use this technique in treating common disorders of the Gastro-intestinal tract including bowel cancer, gallstones and all types of hernias. Mr Rai leads on the design and implementation of the Enhanced Recovery after Surgery program at Stepping Hill hospital which has helped hundreds of patients recover quicker after major surgery with minimal complications. Any surgery, major or minor can be very stressful for patients. This website is designed to give you all the information you need about your symptoms and condition or the operation you need so that you can approach your day of surgery much more relaxed and confident. You can even ask a question if you wanted to. Common operations are described in more detail in lay terms for your benefit so you know what to expect.